Rights Reserved - Free Access. This digital object is protected by copyright and/or related rights. This digital object is accessible without charge, but its use is subject to written permission. All other acts of reproduction and communication to the public are subject to the licensing conditions attached to the digital object. 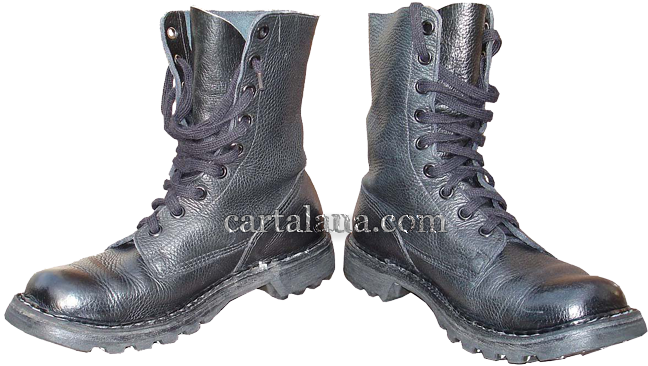 The boots with "RUGAK" and "SOLIDOR" out-soles feature 9 pairs of lacing eyelets, while "RUBEX"-made boots - only 8 pairs. In 1960-70 in Belgium, as well as in many other countries of the world, from Germany to South Africa, the sole was attached by glueing and stitching method. 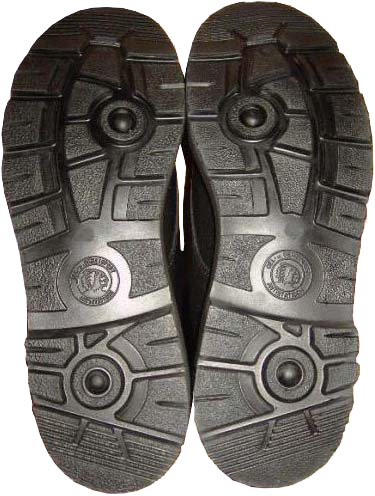 The out-sole tread pattern was shifted closer to the centre of the sole on the distance about an inch, and the resulting free space on the welt was stitched. Later, due to the economy, this practice was cancelled in many countries, and the boots were used to be glued only, just as it was in the Bundeswehr footwear. 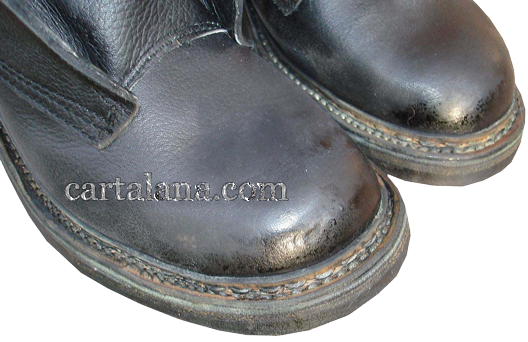 But the Belgian boots were still stitched and glued, but without the tread pattern shift to the centre of the sole. In view of the thick and durable leather and rigidity of the rubber out-soles, the power of the broaching machines is simply amazing. The stitching was made through the very soles and the leather top. 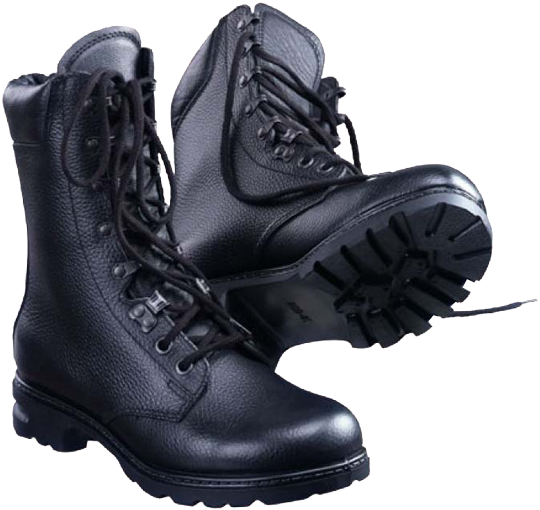 Following the world-wide fashion, in the mid-1990s the Belgian armed forces began transition to the new model of the boots, the so-called "model 1996". On the one hand, the novelty had obvious improvements, for example, there was a soft leather padding along the upper of the boot's top. 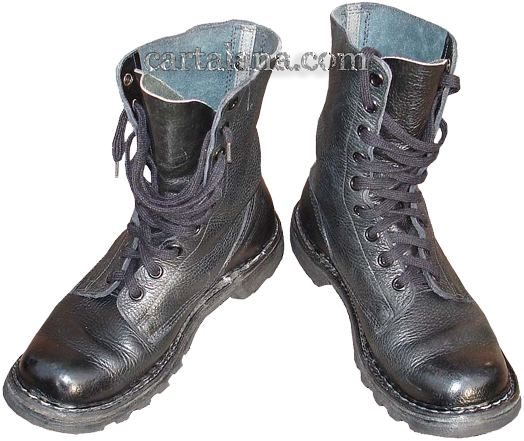 The lacing system was changed as well: on top there were added five pairs of speed lacing eyelets on top, a pair of clamps for fixing laces below, and three pairs of simple round eyelets below.A cushioning and an additional layer of light-grey "glove"-type leather were added inside the boots and on the inner surface of the tongue, as it used to be in the previous "SOLIDOR" models of the 1970s and some more recent "ARWY"-made boots, though the old ones featured no soft paddings, serving just as an additional inner leather lining. 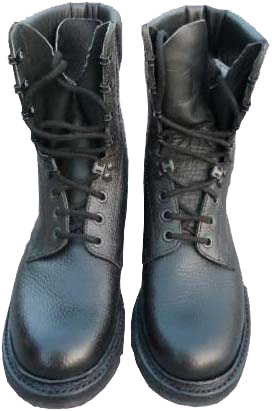 All these modifications made the new Belgian boots top virtually indistinguishable from the most recent Dutch boots of the model M90, so-called "Militaire Legerkisten M90 Landmacht Model". However, there was clear deterioration as well - the out-sole was no longer made of solid and durable vulcanized rubber with glueing and stitching. 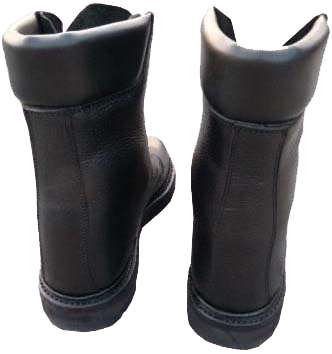 The Belgian model 1996 boots uses the same layered out-sole, as on the failed German Bundeswehr "Model 2000" boots, the out-soles of which were composed of rubber and open-layer foamy polyurethane, which tend to deterioration and crushing after quite short time. 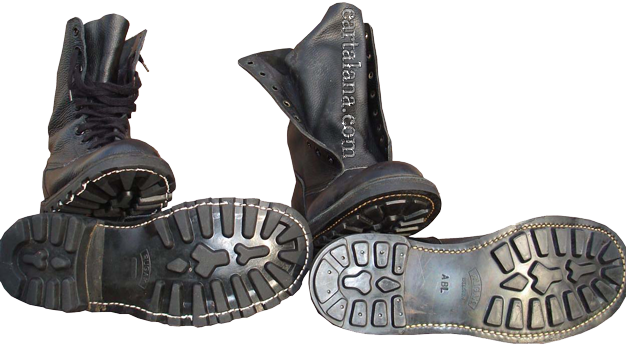 Even the logo - the "Indian Head" is exactly the same as on the German "Model 2000" boots out-soles. As we know, the shortcomings of this model became the reason for the Bundeswehr to opt out the "Model 2000" and adopt a new and very successful "model 2005/2007". 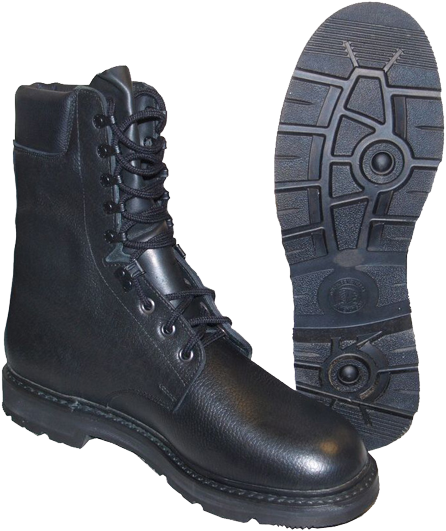 The foamy layer of these boots out-sole was "hidden" inside, the general design and speed lacing system eyelets were improved as well. Judging by the opinions, presented on the Belgian discussion forums, the users of the ABL latest model boots noticed the shortcomings of the new boots out-soles, and they use to write mostly negative reviews. 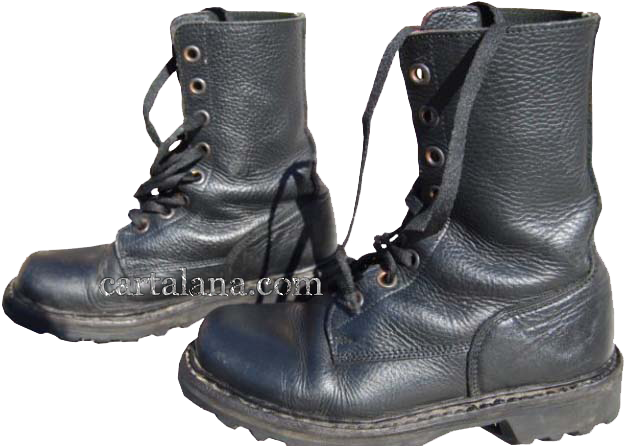 On the contrary, the "good old" Belgian boots are very much appreciated, because they have proven their superior performance and high quality of manufacturing, enabling many years of hard use.